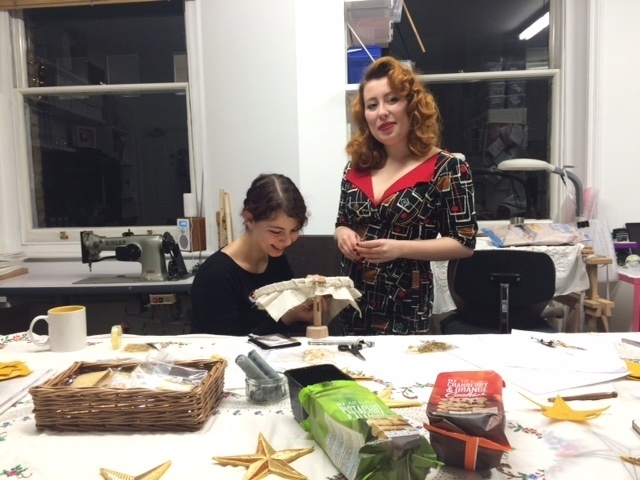 This weekend, Hawthorne & Heaney’s sister company, The London Embroidery School hosted a special Christmas Goldwork Stars Workshop. 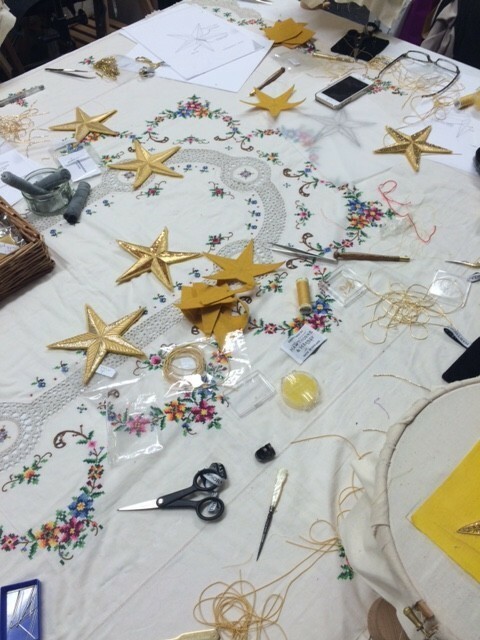 The students were eager to learn more about goldwork techniques so the opportunity to combine new skills and festivities was too much to miss! 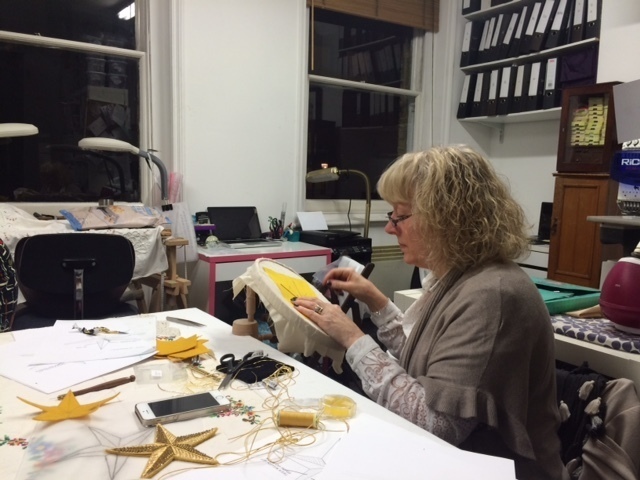 They start by preparing the fabric, transfering the design and padding some areas with felt. 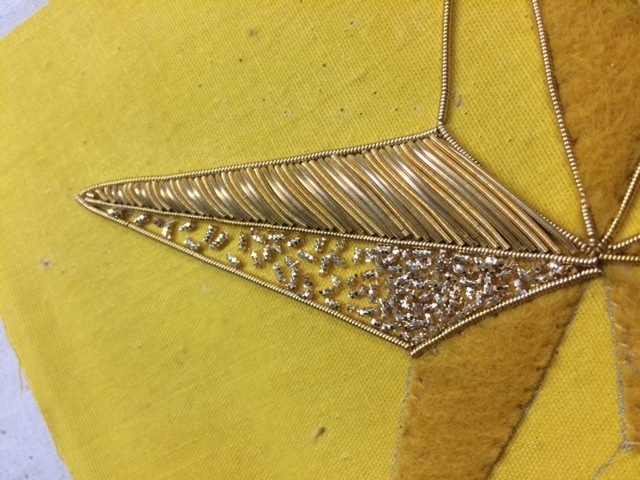 Some of the students edge their stars with pearle purl, covering the padded areas with cutwork in a combination of rough and smooth purl and filling the flat area with bright check chips. 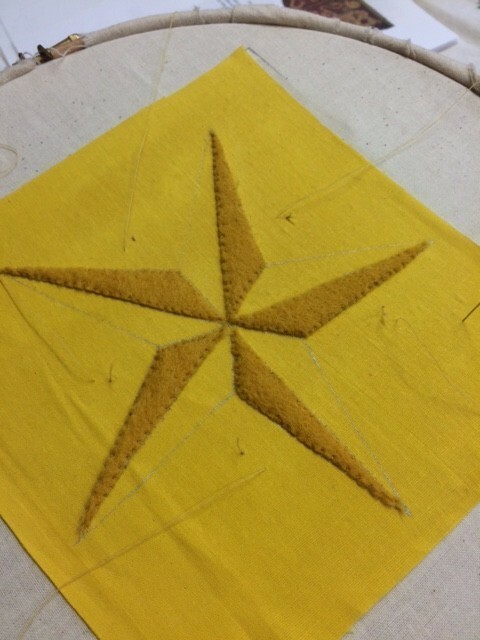 Others used a combination of purl and check for the padded area and crystals for the flat. 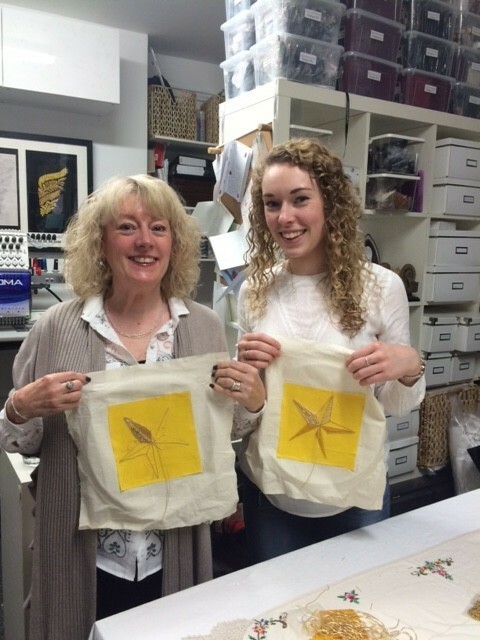 At Hawthorne & Heaney we are always delighted to see people taking an interest and learning about these specialist embroidery techniques. 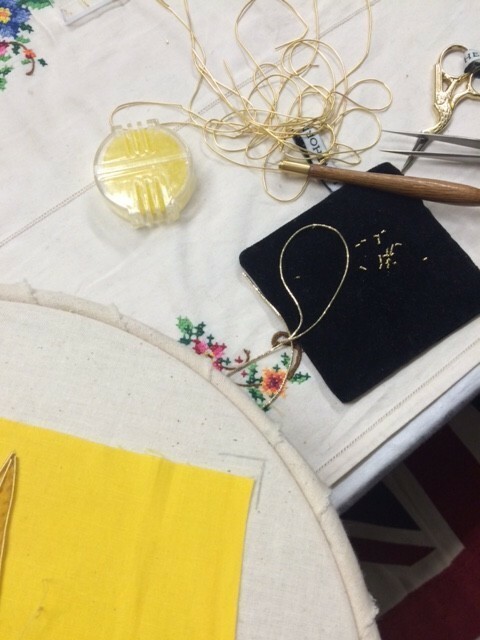 We feel that it is important to preserve the knowledge of how to create these effect so that the crafts do not get lost in generations to come so if you would like to learn more about some of these specialist embroidery skills, why not join the London Embroidery School ladies for a course and see what you can learn!